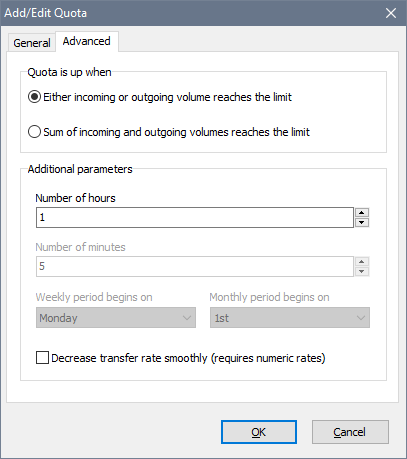 I wanted to find out if there is a way to create monthly quotas that have different start dates. Currently we can set the start date for the Monthly plan in the File>Settings>Quota's Tab, but this is applicable to all Quotas. It is not directly possible in the current version, but we can add this feature. For that, we need to find out a bit more on how you intend to use it. Do you want to create one quota per customer or something like that? Yes, basically like a customer/IP gets a 30 day pack starting on the day he starts browsing net. It would also be nice to change the customer's start date (or billing date) from the UI if possible. We have added the billing period start feature in the Bandwidth Manager v3.2.5.